Benign diseases of the prostate include a spectrum of pathologies that are caused by congenital development such as prostatic cysts, aging such as benign prostatic hyperplasia, and infections such as bacterial prostatitis and prostatic abscess. Imaging of non-malignant conditions of the prostate can be performed using different imaging modalities. The utilities of prostate imaging include detection and follow up of prostate abnormalities, investigation of symptoms that can be caused by diseases of the prostate, selection of treatment options, and image guidance for surgical intervention. In this chapter, we will discuss the presentations, etiologies, and diagnoses of benign prostatic hyperplasia, prostatitis, prostatic abscess, prostatic cysts, and prostatic calculi. 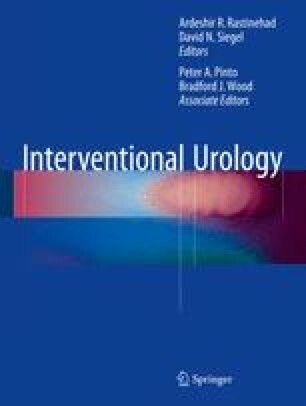 While transrectal ultrasonography is the standard imaging modality of the majority of prostatic conditions, advancement in computed tomography (CT) and magnetic resonance imaging (MRI), especially for investigation of prostate cancer, have led to increased incidental findings of asymptomatic benign prostatic pathologies and better delineation of these diseases.